Welcome to our August 2015 e-Newsletter. 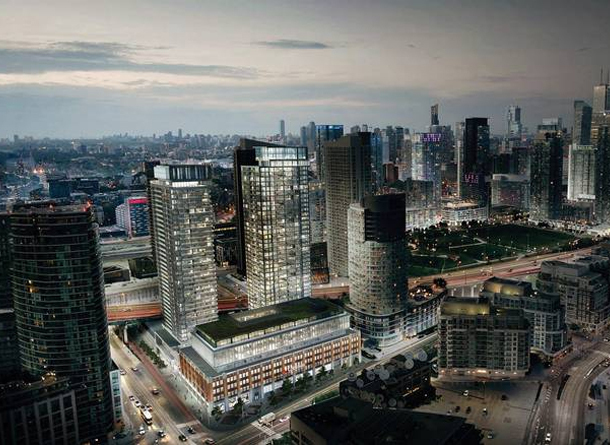 It looks like the old warehouse at Bathurst and Lakeshore is finally going to be home to a condo towers and some retail including a large new Loblaws, which only seems appropriate as Loblaws built the warehouse in the late 1920s. Scroll down to find out more about this exciting development. The average sales price in Toronto for the month of July was $609,236 up more than 10% over July 2014. Below is a link to the full market news, plus a glimpse of what $3M will get you across the city. Metropolis recently published their ranking of the world’s most livable cities and Toronto ranks #1! Check out that article to find out why. Also below, the city’s best ice cream sundaes and three listings including a gorgeous super-sized one bedroom in a terrific building on Gerrard Street East.